How to sell the software? For any software development company, after the product development, the very first challenge going to be how to sell the software? While there have been a quite of traditional and conventional channels for selling your software. Here I’d like to bring to your attention about a new technology that completely changes how you sell your software online. Software TestDrive – A TestDrive is nothing new but I remember people getting curious when I say “Software” TestDrive. Software TestDrive? TestDrive for Software? Yes, it is a TestDrive for software. Here I’d like to talk about the Software TestDrive explaining what it is and a brief explanation on when to use it and the benefits. Software TestDrive is akin to an automobile (say a car) TestDrive. It gives an opportunity for a buyer to experience the real product and increases the chances of a purchase. Similar to an automobile TestDrive, a software TestDrive comes with the latest software pre-installed, pre-configured and served online for you to test/evaluate the software instantly. Such a TestDrive of a software quickly and clearly presents and proves the key/unique features of a software to the customers. As you experience the product and its features live, you’ll build a sense of confidence and can better differentiate from other competing software in the same domain. Let’s explain this with an example. Say you want to migrate to an open source Office suite of applications. From a quick google search you’ll find the top open source application suites available in the market. Now comes the tedious job of registering, downloading, allocating needed computing resources, installing and configuring each of the office suites for evaluation purposes. Such a lot of manual and repetitive steps delays your evaluation as well as costing you time for hardware setup and support. This is where a software TestDrive comes into play. With a TestDrive enabled software product, you don’t have to download source, allocate hardware and deal with installation and configuration overheads. Instead you’ll be provided with an instant connection to a system where the software is already installed and configured for you. You can have a quick look at the LibreOffice suite TestDrive here : Launch TestDrive Demo. With this, your overall evaluation cycle becomes a matter of instant verification. 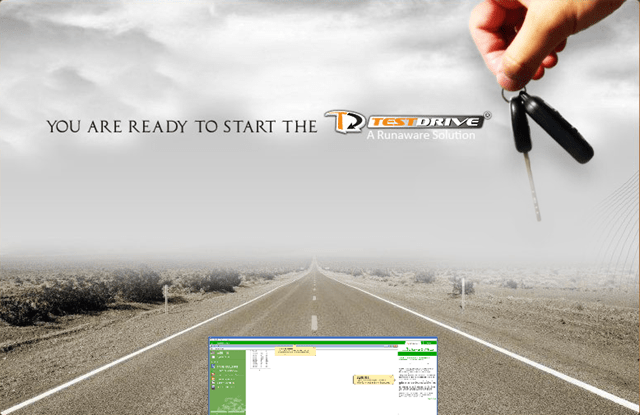 Further you can compare any of the TestDrive enabled software side by side to make a clear distinction of the features. I hope this helped you understand the role and importance of “Software” Testdrive and its benefits. So, always prefer to ask for a software Testdrive for any of new products/updates/features evaluations.